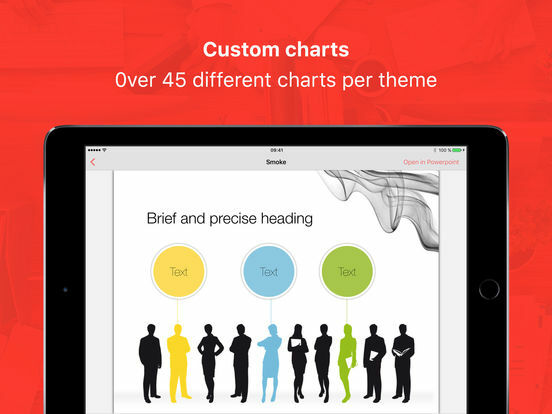 Templates for PowerPoint Pro provides 10 carefully designed PowerPoint Templates, over 100 different graphics and more than 150 slides for stunning business presentations. 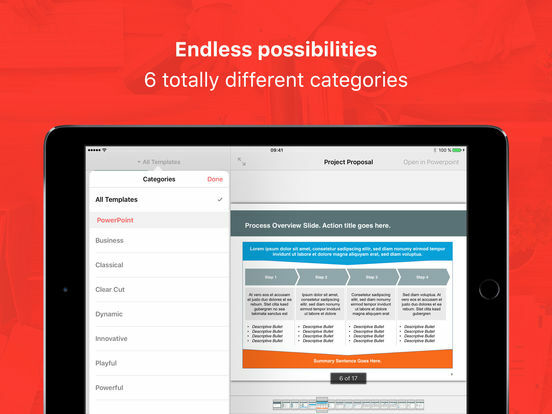 Export them quick and easy to your favorite mobile office application and start working on your presentations in just a few seconds. 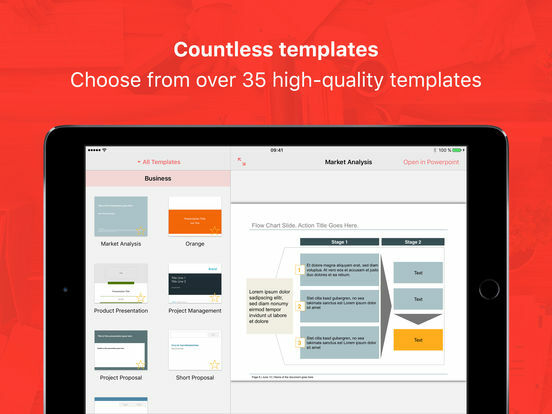 Once you get Templates for PowerPoint Pro it will enhance your productivity on the go magnificently. Get great looking dummy presentations and graphics and adjust only the details in your favorite office application. All presentation templates and PowerPoint masters are designed for business use. Within our presentations you will find only the most attractive diagrams and most polished charts. Our innovative and Retina Display optimized view function lets you take an even closer look at all the templates in advance. Get a preview of all the slides and styles to find the right presentation you like to work with. 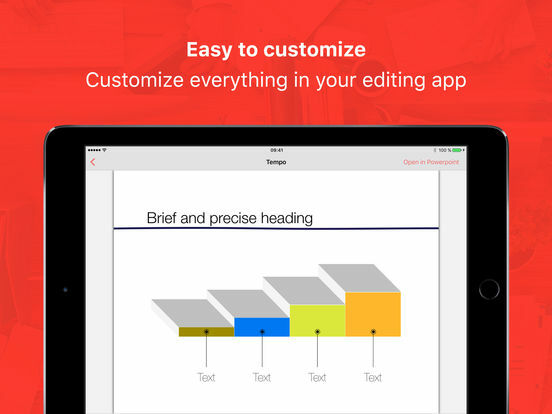 Once you choose the theme you would like to work with, it's quite simple to export and edit it in your favorite mobile office suite. You'll also find a list of suggestions with office apps within the app. Templates for PowerPoint Pro is written from the ground up to fit the needs of productive people even better.